Our passion lies in merging design, innovation and technology to produce beautiful products that will enhance your life. We design and manufacture mobile accessories, smartphones and devices that are innovative and affordable. We have a fast growing footprint into key global markets in Africa and also a Special Adviser to the Mobile Ecosystem Forum (MEF) and a member of the Mobile Marketing Association(MMA). 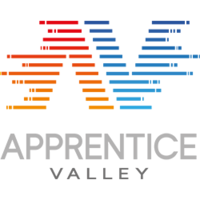 With modern technology as our center of gravity, Apprentice Valley is always investing in technology and partnerships which strengthens our key propositions and ecosystem of companies. The Apprentice Valley is driven by new age technologies and will stop at nothing to create investments which benefit its galaxy of companies in order to turn 360 degree digital lifestyle possibilities into reality.